Thank You CA Curtze Company! Early Connections is very thankful for CA Curtze Company’s support; they recently donated $10,000 to Erie’s Future Fund’s scholarship program. Erie’s Future Fund, administered by Early Connections, provides scholarships to children from low-income families so that they may attend a high-quality early childhood education program in Erie County during the school year. Pictured from left to right are Darlene E. Kovacs, Executive Director of Early Connections, and C. Bruce Kern, President of CA Curtze Company. Thank You American Tinning and Galvanizing! 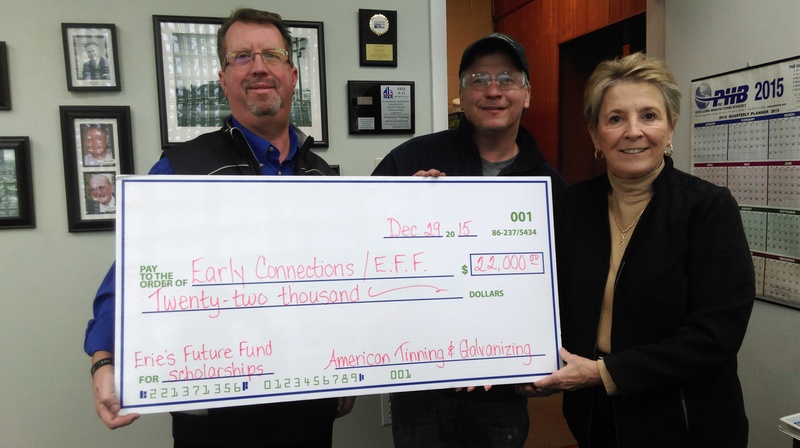 Erie’s Future Fund is grateful to receive a $22,000 EITC donation from American Tinning and Galvanizing. One portion of the donation will help provide funding for scholarships to children from low-income families to attend a high-quality early childhood education program in Erie County during the school year. Another portion of the donation will help Erie’s Future Fund’s Summer Scholars, a new program that will provide scholarships for children from low-income families to attend high-quality programs that offer educational activities and nutritious meals during their attendance in the summer months. Pictured are: David Bertges, Financial and HR Manager; Rodney Chiarelli, Vice President; Robin Scheppner, President and Managing Owner. Early Connections recently recognized Scott Enterprises, Inc. for their donation of $23,485 to Erie’s Future Fund. This donation will be used to help more children receive a scholarship to attend a high-quality early childhood education program in Erie County. 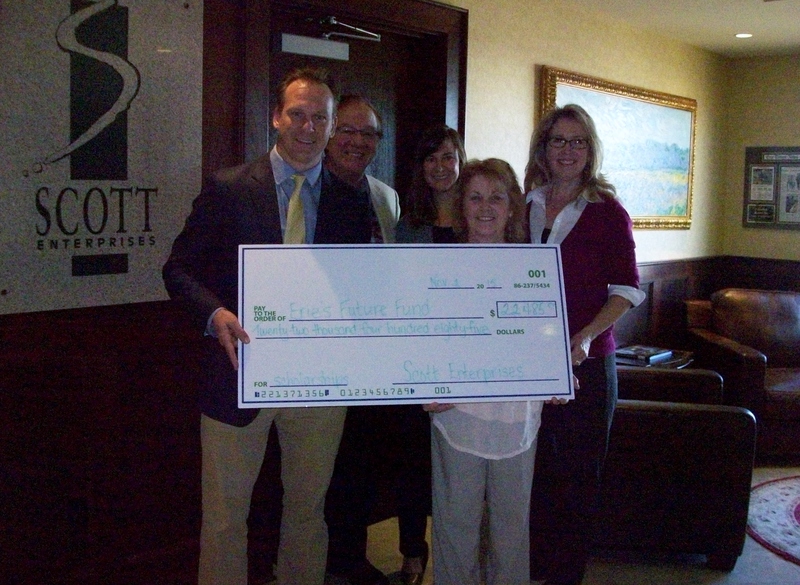 From left to right: Nick Scott Jr., Vice-President of Scott Enterprises; Nick Scott, President of Scott Enterprises; Alison Scott, Executive Marketing Manager of Scott Enterprises; Darlene Kovacs, Executive Director of Early Connections and Erie’s Future Fund; and Michelle Harkins, Associate Executive Director of Early Connections and Scholarship Director of Erie’s Future Fund. VINYL PALOOZA! 2.0 – Thank you! On behalf of the children and families served by Erie’s Future Fund scholarships, we would like to thank everyone who helped to make Vinyl Palozza 2.0 a success. We appreciate your generosity for this musically-inspired fundraiser. Proceeds support educational programs and scholarships, helping change the lives of the most vulnerable children within our community by providing a better chance for success in school and our future workforce. We hope you will consider joining us again next year for Vinyl Palooza 3.0! A special Thank You to Erie Experience Vinyl for hosting this event and to Mark at McCoy’s Barrelhouse & Grill for providing the venue and the sound system for Vinyl Palooza 2.0! 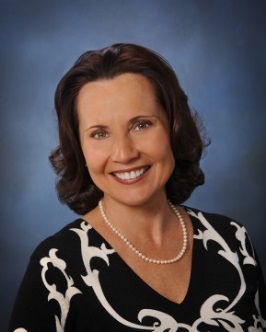 Thank you to Dr. Joyce Miller, CEO of Northwest Institute of Research! Dr. Miller climbed Mt. Kilimanjaro in June in an effort to raise awareness about high quality early childhood education and to fund raise for Erie’s Future Fund scholarships. Along with the $10,000 donation from the Northwest Institute of Research and fundraising, Joyce was able to raise $18,100 for Erie’s Future Fund scholarships! Thank you, Joyce, for your efforts to help our children “climb” to success! Thank you, Dr. Joyce Miller! Pictured left to right: Michelle Harkins, Scholarship Director of Erie’s Future Fund and Associate Executive Director of Early Connections; Dr. Joyce Miller; CEO Northwest Institute of Research, Northwest Regional Key; and Darlene Kovacs, Executive Director, Early Connections. ERIE GIVES DAY 2015 – AUGUST 11TH! Thank you to the donors who supported Erie’s Future Fund during the 2015 Erie Gives Day! Your generosity helped fund scholarships that benefit children throughout Erie County. 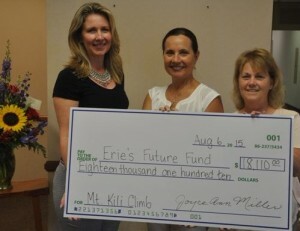 Help Erie’s Future Fund Scholars “Climb” to Success! Dr. Joyce Miller briefly pausing during her Mt. Kilimanjaro climb. For two days, Dr. Joyce Miller climbed Mt. Kilimanjaro in very precarious situations. Most of the time was spent climbing rocks up the mountain, instead of the anticipated trekking. The second day of the climb took 12 hours, instead of the expected 4-7 hours. Due to chest pains and a low heartbeat from the altitude and climbing intensity, Joyce needed to descend Kilimanjaro (another 4 hour trek!). Thank goodness that Joyce decided to climb back down the mountain at that time. It took her a few days for to recover from the physically taxing climb, but Joyce was looking forward to the rest of her visit in Tanzania. Join Dr. Joyce Miller to Help Erie’s Future Fund Scholars “Climb” to Success! Dr. Joyce Miller is climbing Mt. 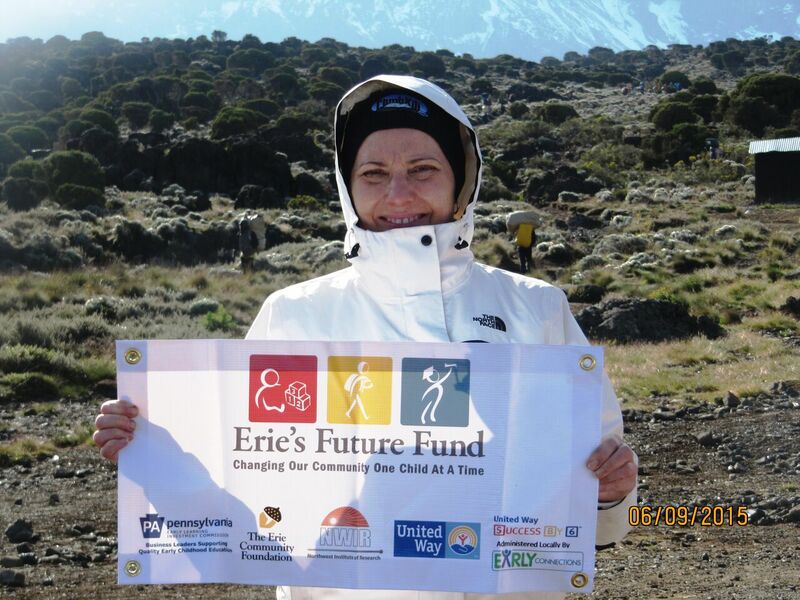 Kilimanjaro in June to support Erie’s Future Fund, which is a scholarship program that helps low-income children attend high quality early education programs throughout Erie County. She is initially donating $5,000 from her company, Northwest Institute of Research. 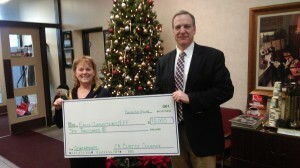 for a total of $15,000 for Erie’s Future Fund. Thank you Dr. Joyce Miller and the Northwest Institute of Research, for Helping Erie’s Future Fund Scholars “Climb” to Success in School and Life! A big thank you to Erie ExperienceVinyl, Z3 Concepts, Custom Audio and the Sandbar! 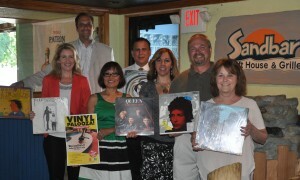 They teamed-up on June 25th for the First Annual Vinyl Palooza and raised $4000 for Erie’s Future Fund. What a fun event! And a big thank you to the GE Interns who took the time out of their busy schedules to volunteer, Rocket 101, and those who attended and supported Erie’s Future Fund. Stay tuned for the date of our second annual Vinyl Palooza! Pictured from right to left are Michelle Harkins, Scholarship Director for Erie’s Future Fund, Stan Zlotkowski from Z3 Concepts and Erie ExperienceVinyl, Sandbar owner Kum Miller, Mike Plazony, member of PA’s Early Learning Investment Commission and Erie ExperienceVinyl, Pete Rakoczy from Z3 Concepts and Erie ExperienceVinyl, Sondralee Orengia of Custom Audio, and Associate Executive Director of Early Connections Darlene Kovacs. This school year, Erie’s Future Fund provided high-quality early childhood education scholarships to 230 children ages 3 and 4. These children will be better prepared for kindergarten and life. What this means to you is a stronger community and workforce. 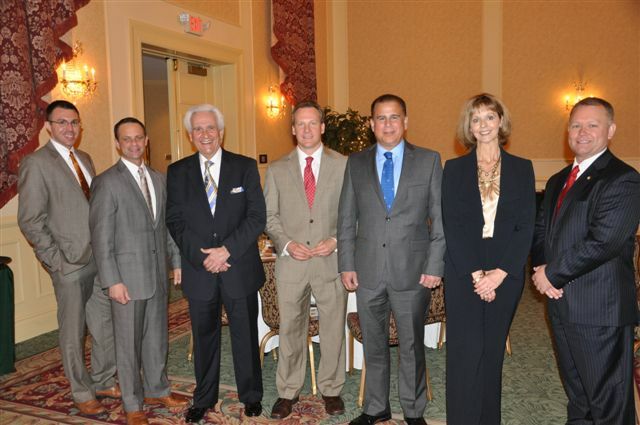 On May 2, Erie’s Future Fund hosted a breakfast for business leaders and legislators to discuss how our first year of operation has made a difference, and how we can continue to grow. Ryan Bizzarro, PA State Representative; State Senator Sean Wiley; Flo Fabrizio, State Representative; Nick Scott Jr., PA Early Learning Investment Commission Member and VP of Scott Enterprises; Mike Plazony, PA Early Learning Investment Commission Member and Senior Vice President Erie Family Life at Erie Insurance Group; Betsy Bort, PA Early Learning Investment Commission Member and VP of ERIEBANK; and State Representative Pat Harkins. 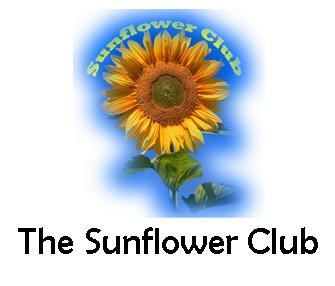 The scholarships allow children to attend a high-quality Early Childhood Education (ECE) program at ages 3 and 4. Families select from area public and private ECE programs that meet the STARS* criteria of Level 3 or 4. Erie’s Future Fund goal is to provide scholarships for approximately 285 low-income children in the 2012-2013 school year.